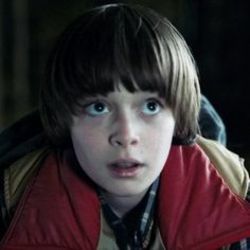 Noah starred as Will Byers in the 2016 Netflix smash hit series Stranger Things! Noah also voiced Charlie Brown in The Peanuts Movie and appeared in the 2015 Steven Spielberg film Bridge of Spies. And he also made a special guest on Panic! At The Disco's new music video for LA Devotee.